Another great sock yarn from Cherry Tree Hill Yarns! 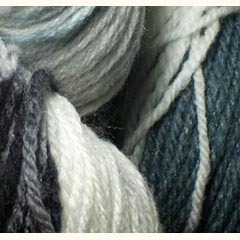 Sockittome combines superwash merino and nylon for this very soft yarn. Sockittome has a looser twist than its sister yarn, Supersock, but the addition of nylon helps make this a durable sock yarn with extended wearability. Sockittome is hand dyed, and is available in all of the wonderful Cherry Tree Hill colorways. One skein will make an average pair of socks. Care: Hand wash or dry clean. Dry flat in shade, do not tumble try.